On an impulsive decision to leave Tokyo for Taipei, I accidentally ended up on the Hello Kitty Plane. We got to the airport 20 minutes before boarding began. We pushed it pretty close since we missed the airport limo bus in Shinjuku. There was a lot of anxiety there, but we made it in time. When we got to the gate and saw the plane, we noticed it was the Sanrio plane. 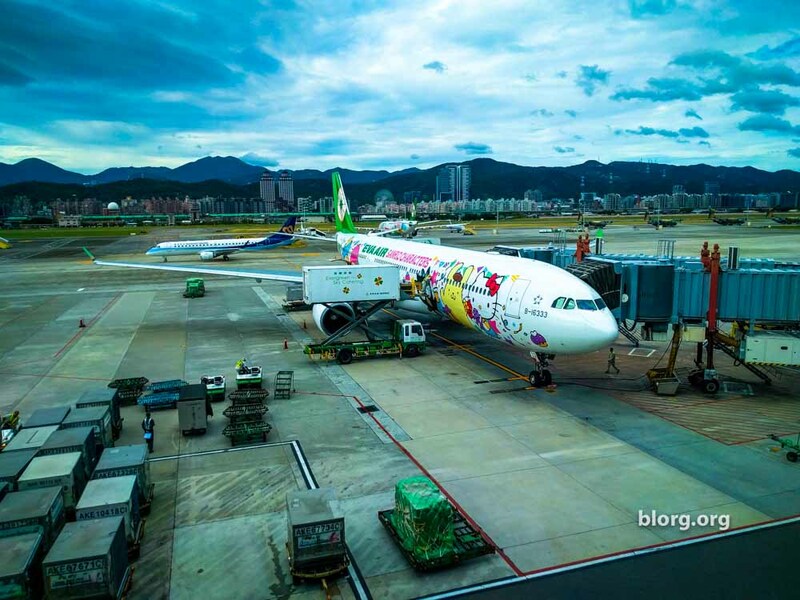 After boarding the plane, it was definitely the Hello Kitty plane…or Sanrio Plane. Other than being Hello Kitty themed, it was a pretty standard flight. The food was okay, service was good and everything was clean.